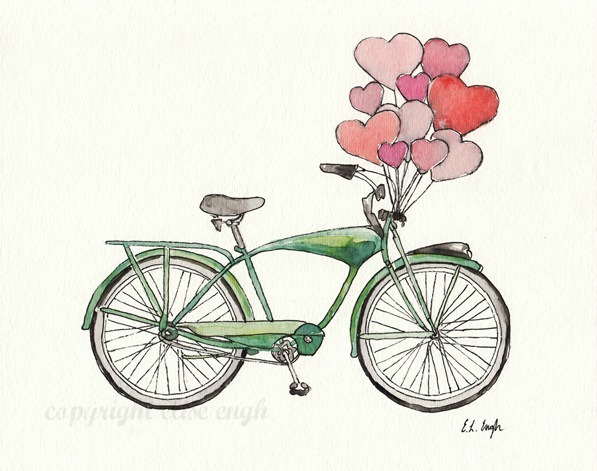 Elise Engh Studios: Bike Prints Are Here! Well, folks... I finally found a place to make some giclee prints of my bike painting. Hooray! Only thing is they are in Canada, so it takes a while to get them. They just got here this afternoon.. yes! I'm excited. They are now for sale in my Etsy shop here. Check it out! I like this picture its so cute!